The first snow of the season is always special in Rocky Mountain National Park. Most of the time the turnover from autumn to winter happens quickly. 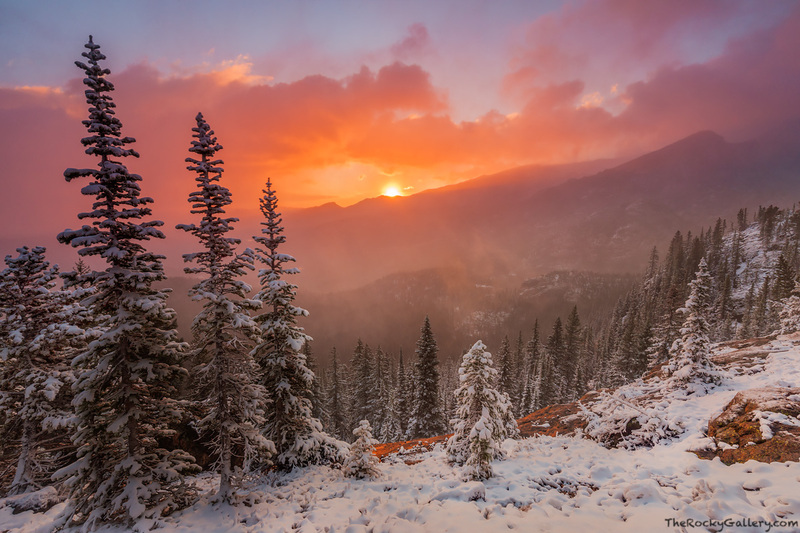 A late September snowstorm covered the Rocky Mountain National Park with its first layer of snow. As the sun rose above the horizon it revealed the beauty of the frozen landscape in this view from the Lake Haiyaha trail. Photo © copyright by Thomas Mangan.